Paragliding has swiftly become one of the most popular extreme sports in Albania over the last decade. It makes perfect sense as Albania’s landscape is ideal for it! The sheer variety of terrain, be it beautiful mountain ranges, vast golden valleys, lush green forests, or the beautiful long coast make the country definitely worth seeing from above. International tours are organized on an annual basis where paragliding aficionados have competitions at different points in the country. While these events are reserved for the more professional guys and gals, there are plenty of options of tandem paragliding packets offered by numerous professional companies, all safe and worth experiencing for those of you who are looking to try it out. The countless tourists who line the very top of Llogara Pass every summer in order to beautifully descend it would swear that Albania is the place to do it! No doubt about it, this is the best known and most celebrated paragliding event in the entire country! 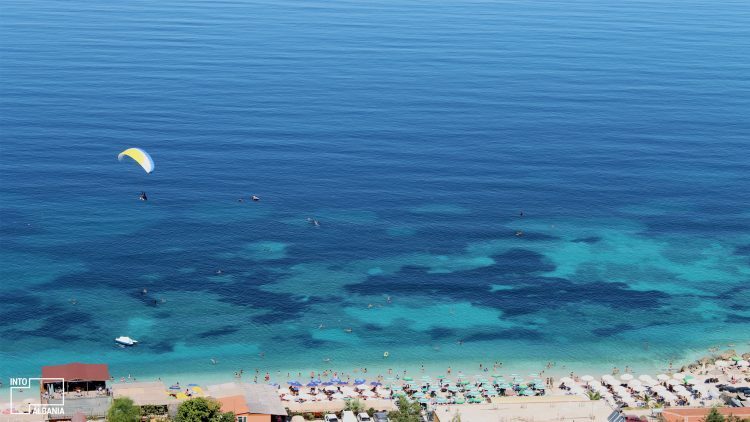 Hosted for 19 years in a row in the beautiful coastal town of Vlorë, this event gathers professionals from all over the world who create quite the spectacle in the southern sky of Albania. Thanks to the work and dedication of Alket Islami, the icon of paragliding in Albania, this event has become increasingly popular throughout the years. In fact, it is safe to say that this particular event has helped spread the culture of extreme sports in Albania and has turned many people to paragliding, something that 20 years ago would have been unthinkable. The legacy of the event, the professional instructors, and the beautiful panoramas waiting for you at the end of it are the reasons why this event celebrates its 20th anniversary in 2019! There are numerous paragliding events organized throughout the year that you may not want to miss if you would like to try it out. Read about these events and other important paragliding-related news at paragliding.al. If you want to book your paragliding flight or choose between various destinations go to skysports.al. For those interested in tandem paragliding, where you would be accompanied by a professional, or those who simply would like to have some lessons before making the grand leap, please contact Albanian Aeronautics at +355692221111/+355682001900 and visit skysports.al. For additional paragliding training packages go to skysports.al. Tandem paragliding takes place in some of the most beautiful places in the country. The most in-demand spot is Llogara Pass, where the descent is simply spectacular. This one in particular is beautiful, as it begins from the snowy mountain caps and concludes on the beautiful shores of the Ionian! Another favorite spot is over the capital of Tirana which offers beautiful vistas of the surrounding Dajti Mountain and the entire city. However, there are many other options that can be discussed with the professional instructors who are always willing to work with you and suggest an experience that fits your preferences.